We just spent 11 days in the Alps. 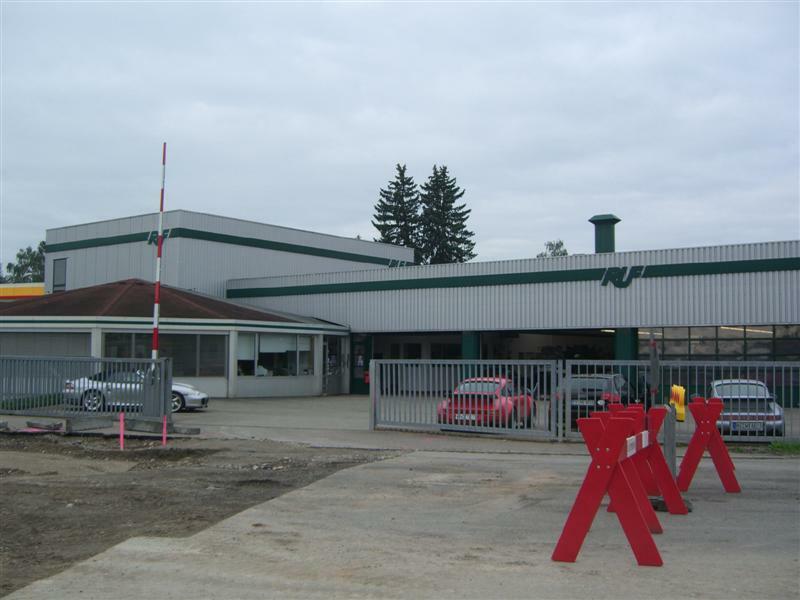 The first stop on our trip was a visit to Ruf at Pfaffenhausen. We got there and found that the city was building a round-about right in front of their front door, so we had to detour to get in. What timing. You folks would enjoy the chairs in the Ruf waiting room. Alois and Estonia were both out and Marc Bongers gave us a grand tour. It was an amazing tour. We got to see the first Yellowbird CTR under complete renovation. They have a no pictures policy but he still allowed me to have one with the Yellow Bird and my Yellow Bird T-shirt on. 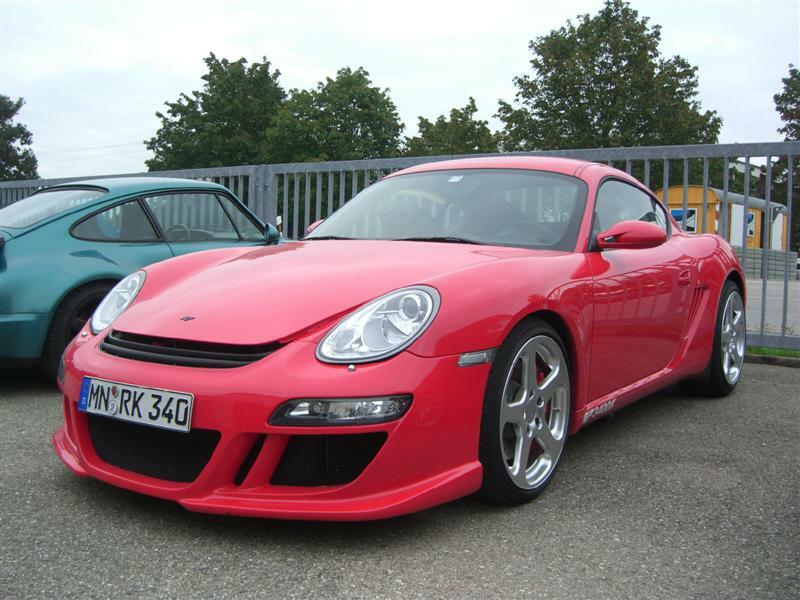 We saw the latest CTR-3 engine (769 HP I think) on the water-cooled dyno, and the first Ruf 3.3L turbo engine on the air-cooled dyno. We also saw 2 RGTs being built, and a Tangerine colored 993 NB R-Turbo cabriolet. That has to be the only one on earth. 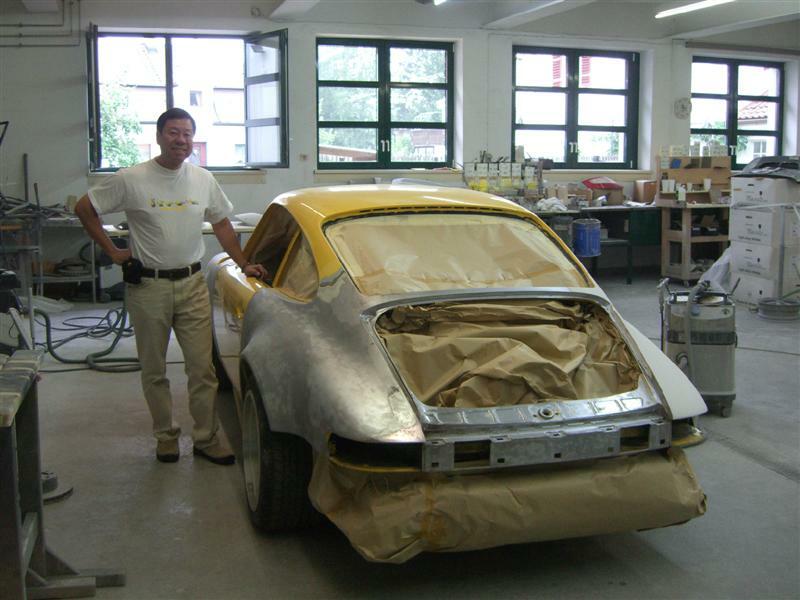 Then Marc showed us the bare chasis of a white 911 under complete restoration. Looking at the VIN, it was 300xxx027. That is the 27th 911 ever built by Porsche. What a a piece of Porsche history right there. Marc then showed us the green 356 Speedster that Estonia drives, and the blue 356 coupe that Alois drives. Incredible cars for their vintage. They also have Model-T, 959, 930RS etc. in various stages of restoration. The historic aspect of this tour is incomparable. Too bad I can’t get the pictures I really wanted. I then got to meet Mark, the only man who paints Ruf cars, and he showed us the 4,000+ color samples in his portfolio. 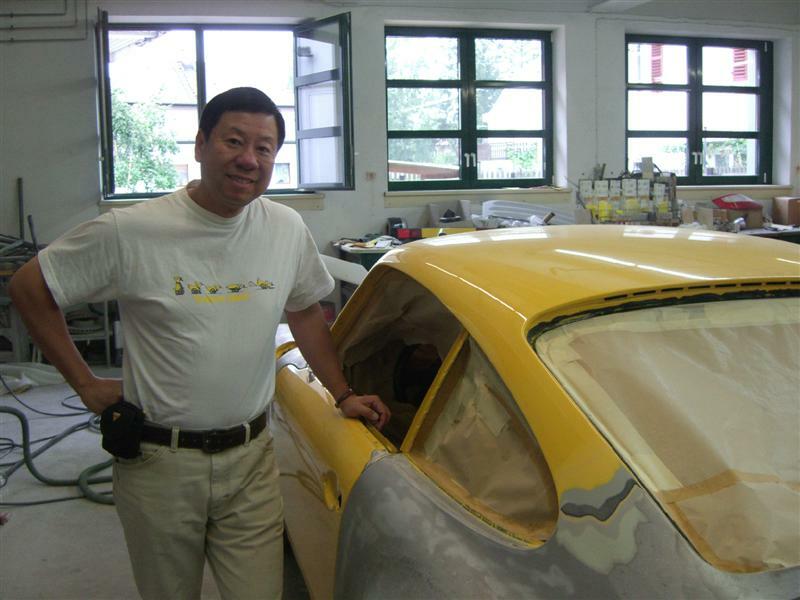 Got to meet the teenage son of Mr. Alois Ruf (forgot his name) who is in apprenticeship and restoring a vintage Citron. Got to meet Hans Lieb, who is the technical guru/brain behind Ruf’s technical development. 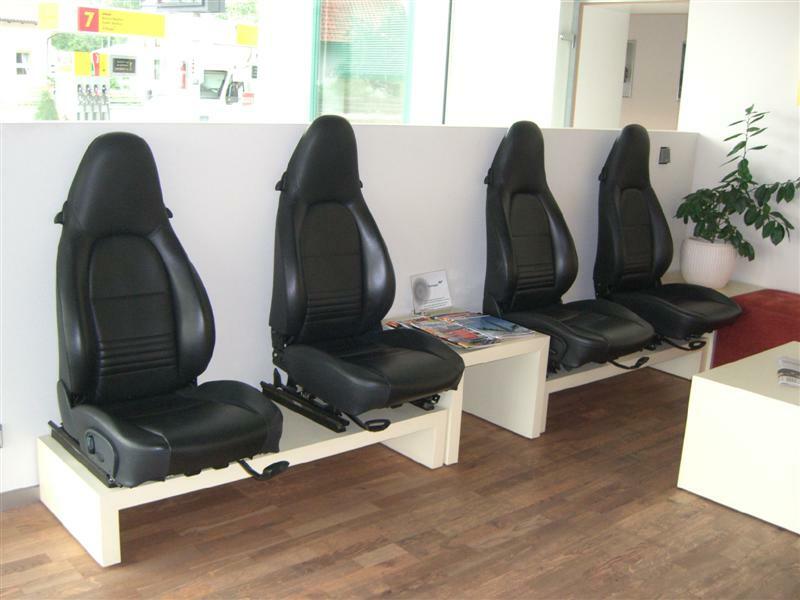 Hans also test drives various Ruf cars for refinement. He is an incredible guy behind the scene. Before we left, we got ourselves some momentos including the Faszination Plus DVD. 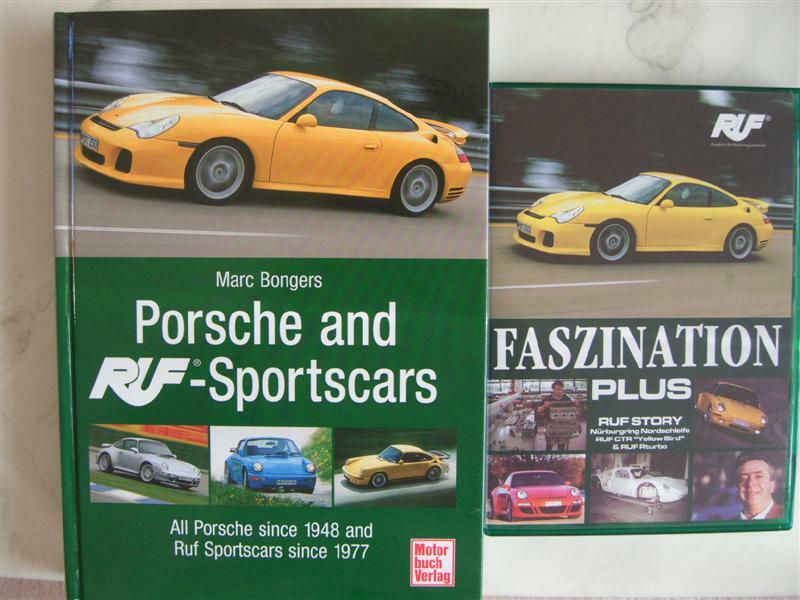 We bought a book called Porsche and Ruf Sportscars, Written and signed by the author: Marc Bongers. Turns out he is quite a Porsche Historian in his own right. The book is a limited production run of 2,000 copies, and mine is #617. That’s an incredible start for the first day of out trip. I will post another thread of the scenic wonders that we saw. This thread only has Ruf contents and pics. Thats awesome! Glad you had a great trip!! Wow. What a great way to start an Alps vacation! Love that blue RT12. Appreciate your pictures. Looking forward to the others! Great pics... glad to hear you had a nice trip! Looking forward to more pics. What a great adventure! Thanks for the story and pictures. I have a copy of that autographed book as well, signed by Marc & Alois. Are you finally home? Rufus won his class in the People's car show at the Autofest. There were 3 Rufs in attendance! 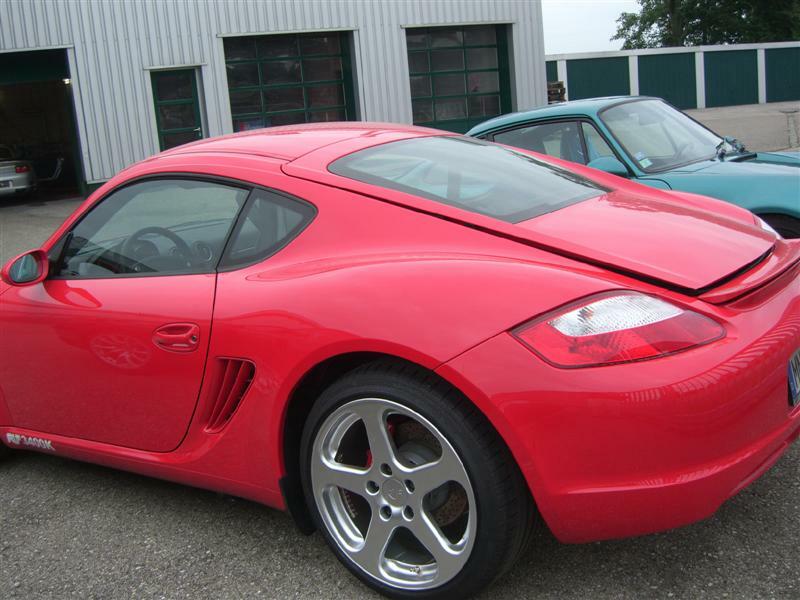 The Cayman, the R Turbo and my Turbo R. We got them all side-by-side. Rufus will win any competition he shows up to, so I'm not surprised. We made it home late Sunday. It was really a trip of a life-time. We went to Europe for our honeymoon 25 years ago. We drove around for 5.5 weeks going everywhere then. We still missed some great spots. So this is our 25th anniversary/second honeymoon trip, and we made sure we hit all the good spots this time. I started with Ruf to kick us in the 'proper gear', so to speak. I am still sorting out the trip pictures. The other thread will be up in a day or two. Sounds like a great trip Pong. I'd go just to visit RUF. Thanks for sharing the pics. Looks like you had a great time, thanks for sharing the photos and I look foreward to more. Pongster!! I have been there many times, and those guys are ALWAYS great!! We had the annual RUF open house (a remnant of the old PCA-Germany Region stuff) back in July, and Mr. Ruf was there all day. He went home and got his 901 out and drove it down, then had one of his guys go get the CTR3 for us, too. On top of that, he hosted beer and brats all day. Always a highlight of the year, and glad you got to go, too. 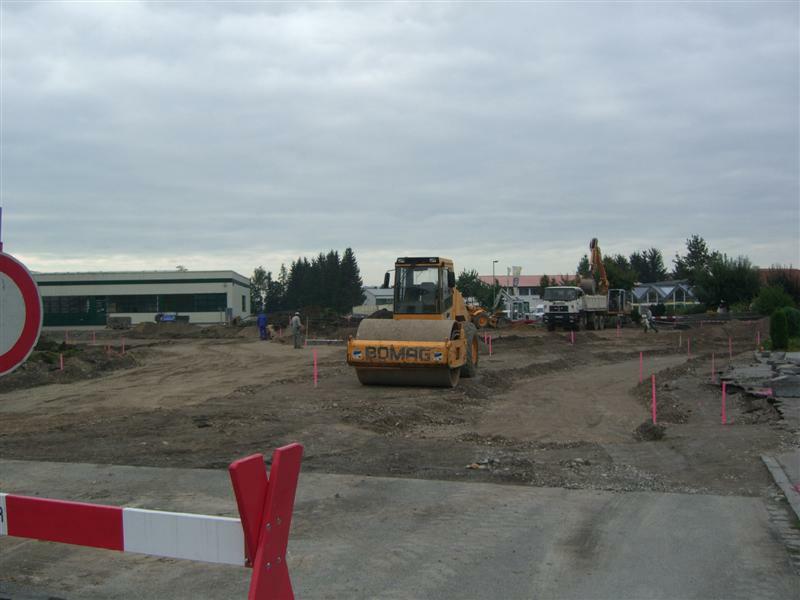 Had no idea they were going to have the street all torn up there.....glad they weren't doing that back in July. Thanks. And if you look closely at the last pix, the wind-breaker is also a Ruf item as well, with a tiny Ruf insignia over the left chest area. I got them when I visited Weissach in Vancouver BC a few years back. 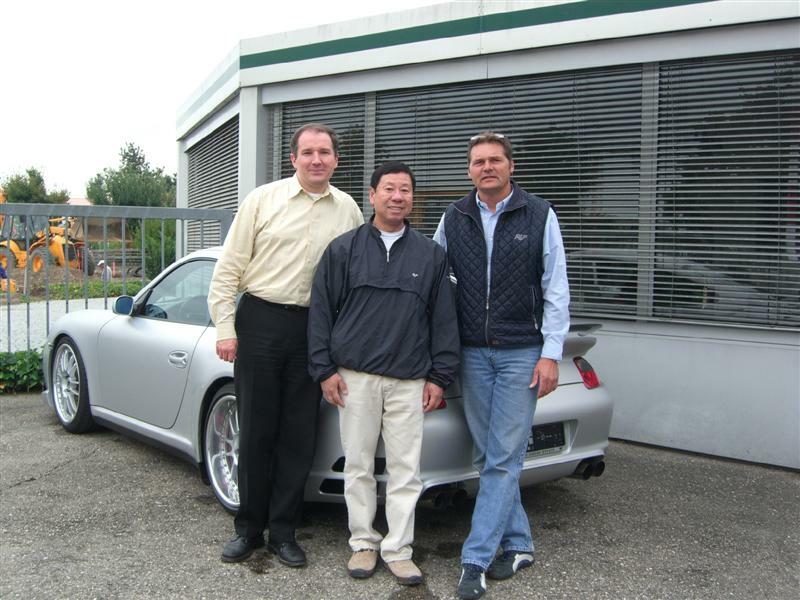 Ruf Auto Center in Dallas was not in existance then, and Weissach in Vancouver was actually the official Ruf outlet for North America. 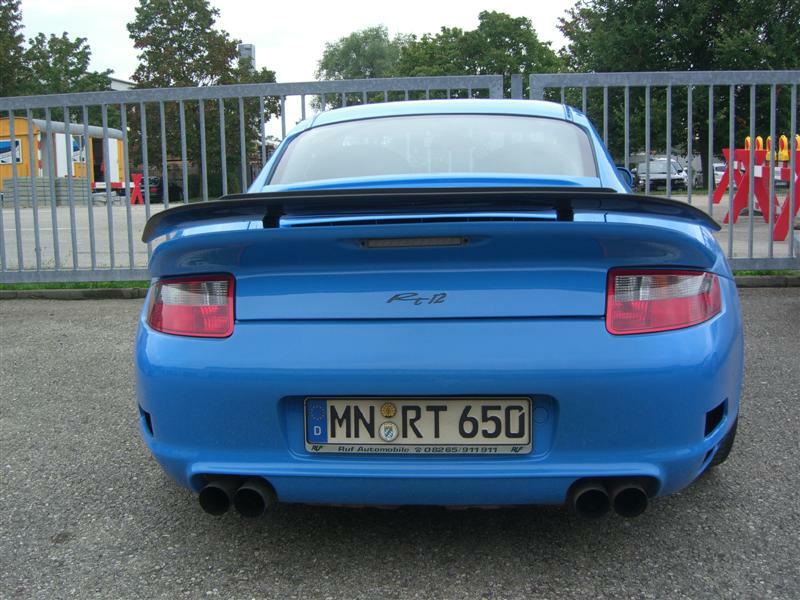 Another interesting Ruf tidbit. I knew they recently opend their Bahrain center (that's where Alois was when I got there), but I did not know that they also have centers in Sweden, and a few other places as well. Mac Bongers was the one who told me that one. Now totally off topic. If anyone is looking for driving shoes, Ruf has these in their German catalog. These looks like Piloti's with Ruf logo. For 59 Euro it is a steal. I did not see them on display when I was there and I regret not getting a pair. Here is the whole catalog itself, you can find Yellow Bird shirts there. Last edited by CP; 09-12-2007 at 01:00 AM. I did not see them on display when I was there and I regret my getting a pair. Uau. Those Ruf boots are indeed a bargain. And they're gorgeous. The stand21 similar ones goes up to 160 USD each pair. Thanks for the link. Thanks for sharing the pix Pong. 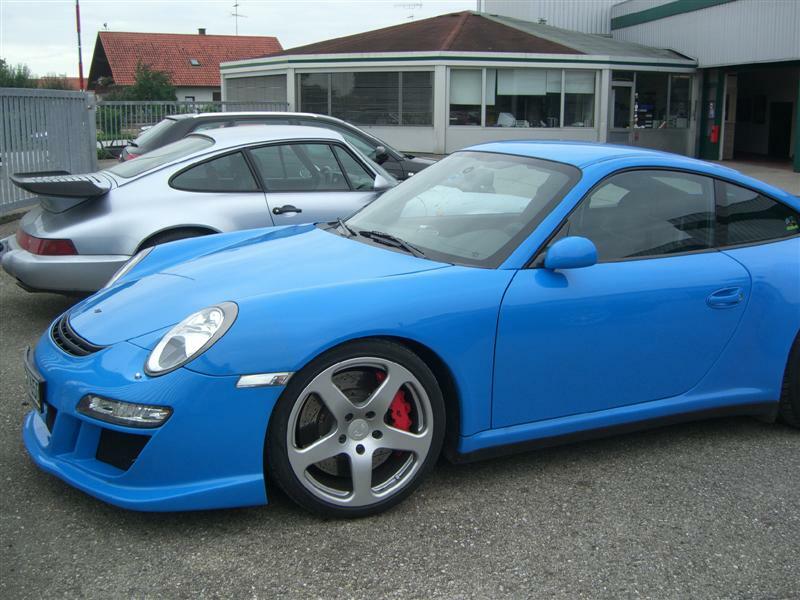 Ruf had better give you a huge discount when you get your 987 Ruf upgrades after all the advertising you do for them!